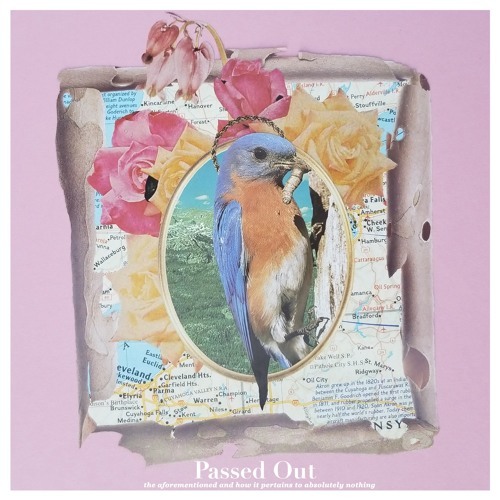 With ‘Bukowski & Brautigan,’ an aggressively angst-y anthem and the latest single from the bands forthcoming EP, 'the Aforementioned and How it Pertains to Absolutely Nothing,' Passed Out is picking up where they left off with 'Infinite Regression.' On the surface, the lyrics describe a slight that lay to rest an important relationship; however, in accordance with most of their songs, there exists a much deeper subjectivity beneath the façade of a catchy framework. Furthermore, ‘Bukowski & Brautigan’ wrestles with the ramifications of losing someone; an important limb of oneself and retreating into the depths of seclusion. written by Andy Pothier and performed by Passed Out, 2017 produced and mixed by Cody Morse at Afterglow Studios mastered by Elliot Douglas album artwork by Adam Hinckley at Hinkslice, INC.